I am having a major issue, and I hope you can help me. I have looked at your info, as well as a bunch of videos. 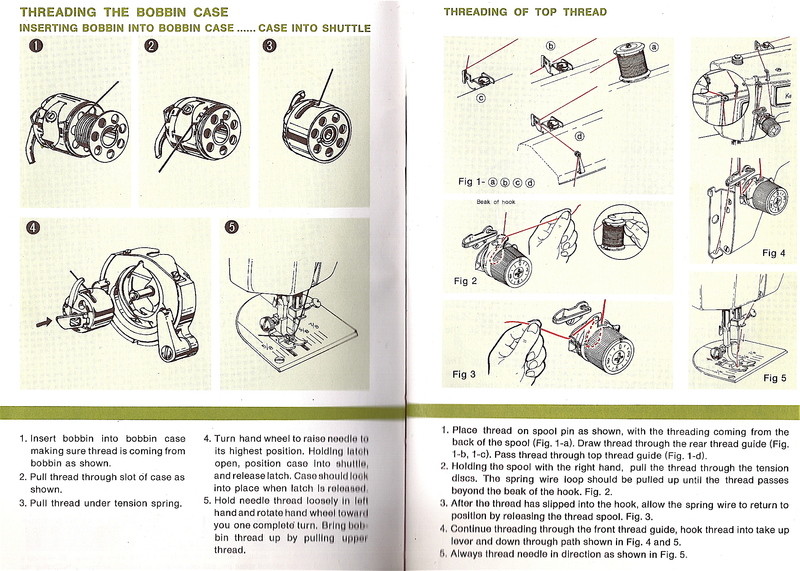 I have threaded the top thread, threaded the bobbin, inserted it and the top thread. 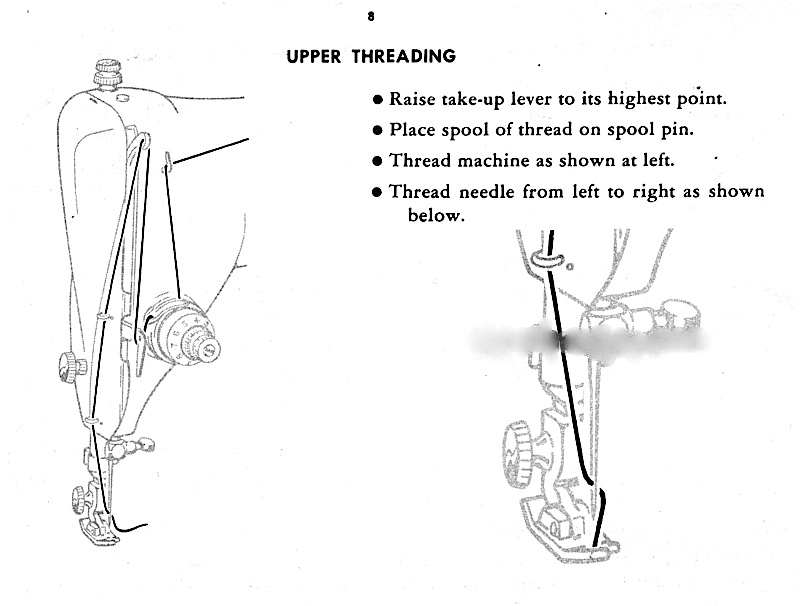 But the part I am stuck on: How to bring the bottom thread (from the bobbin) up?? 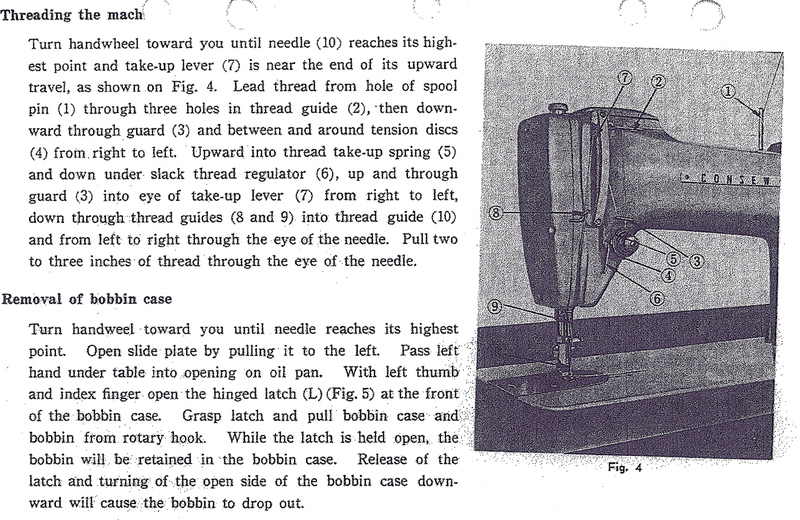 Hold the needle thread in your hand, turn the wheel to make the needle go down and up. 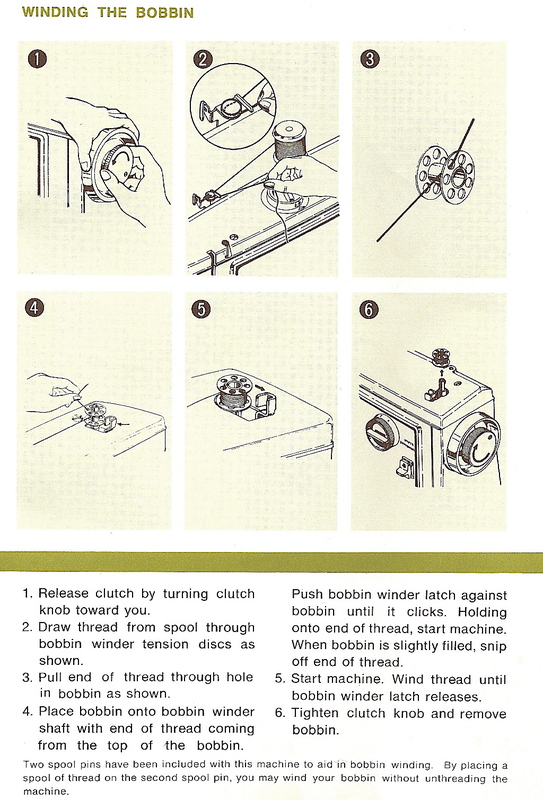 It will catch the bobbin thread and pull both up. 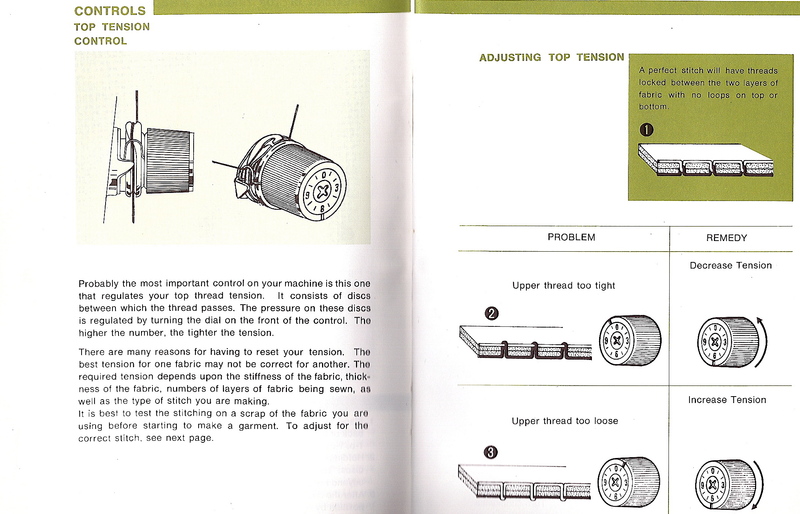 Just slide something under the upraised pressure foot (scissor blade) and grasp both threads. 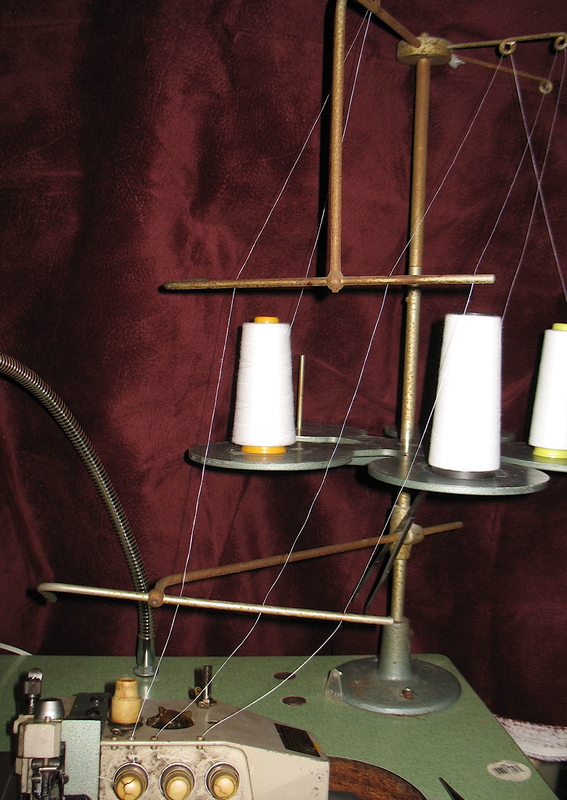 Just lower the needle down into the machine with the wheel and your hand, (NOT your FOOT on the electric,) ONCE! 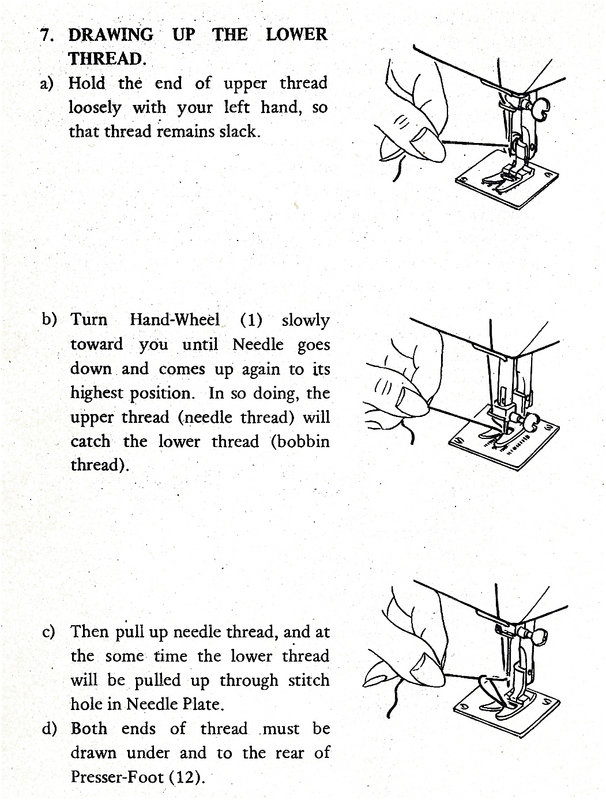 Now take hold of the upper thread and just pull the lower thread up through the hole, as it will have caught just as if it had made a stitch! 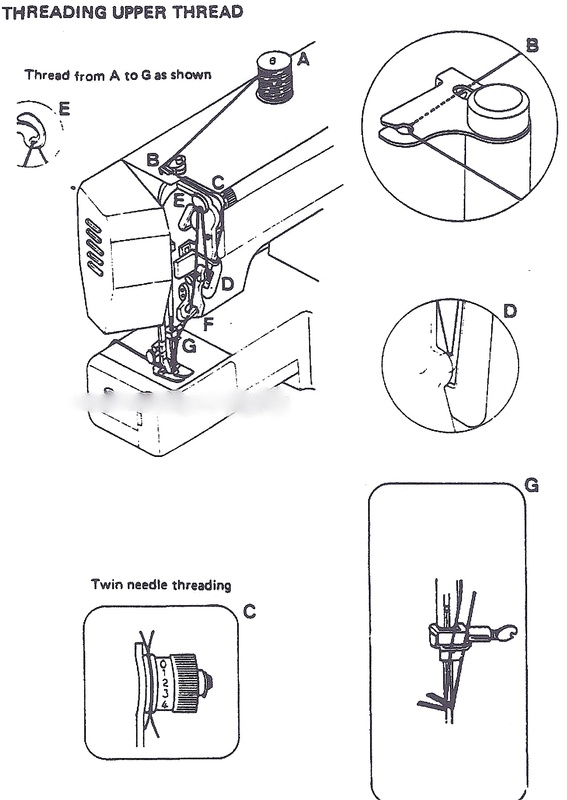 Now pull both threads to the back under the presser foot and place your fabric under it. 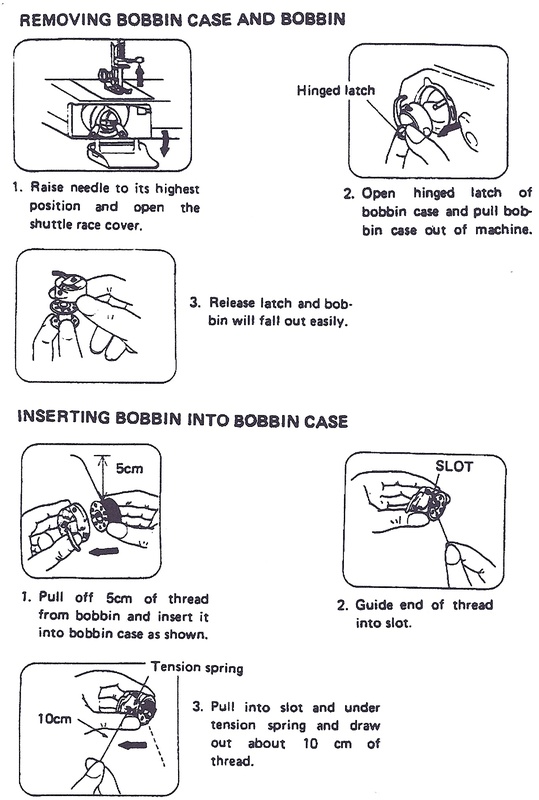 Lower your foot and you are ready to sew! 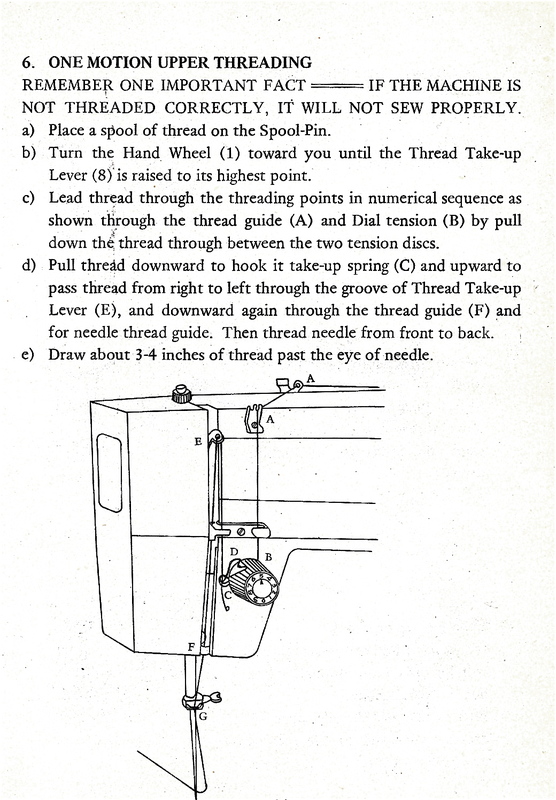 Thank you so much for posting these threading guides. Just got my machine yesterday. 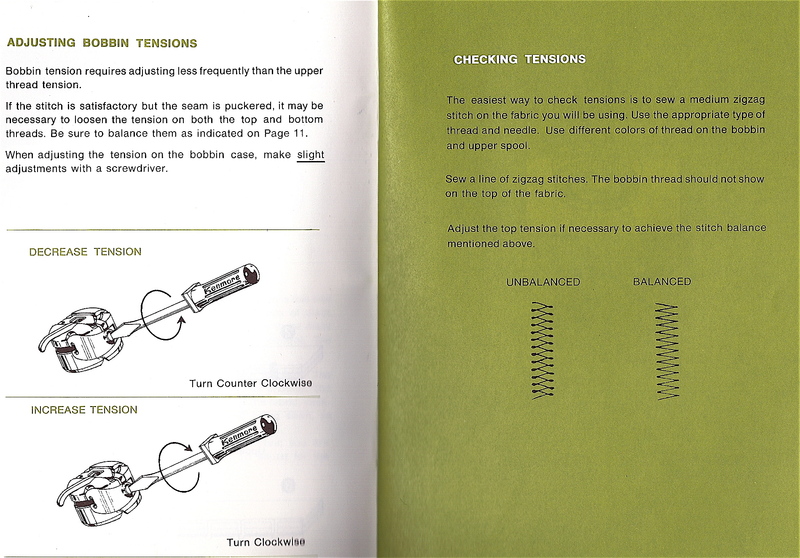 Today I replaced the broken check spring and was able to figure out from the illustration on the threading guide that my “wrong” check spring is right one after all. Or my Atlas doesn’t care which check spring it has. It’s sewing like a dream now. Thanks a bunch. 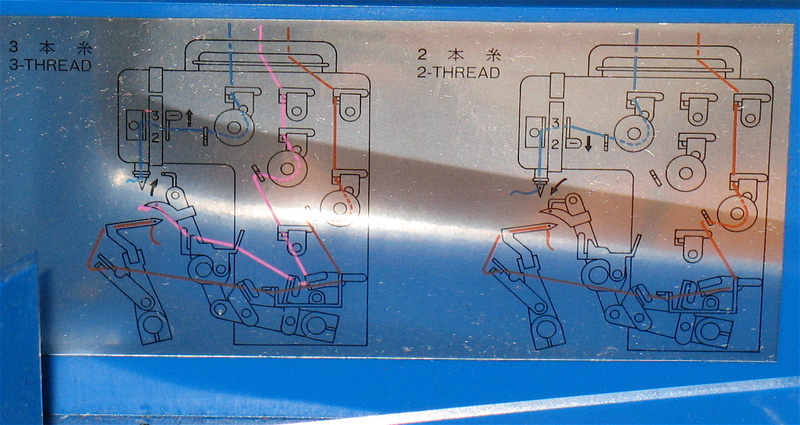 I am desperately trying to find a thread guide for a Taiko 740 industrial serger. any chance you know where to locate one or how to thread it? Unilabevlbee how well-written and informative this was. 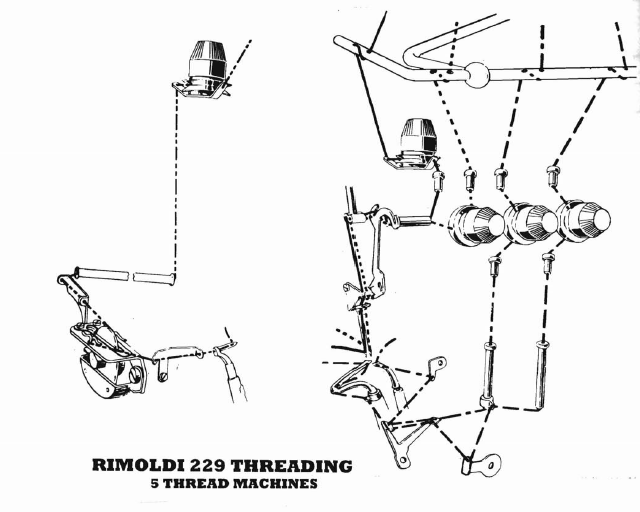 hi there i am looking for a manual and threading diagram for a kenmore zig zag deluxe modlel JZ116038. 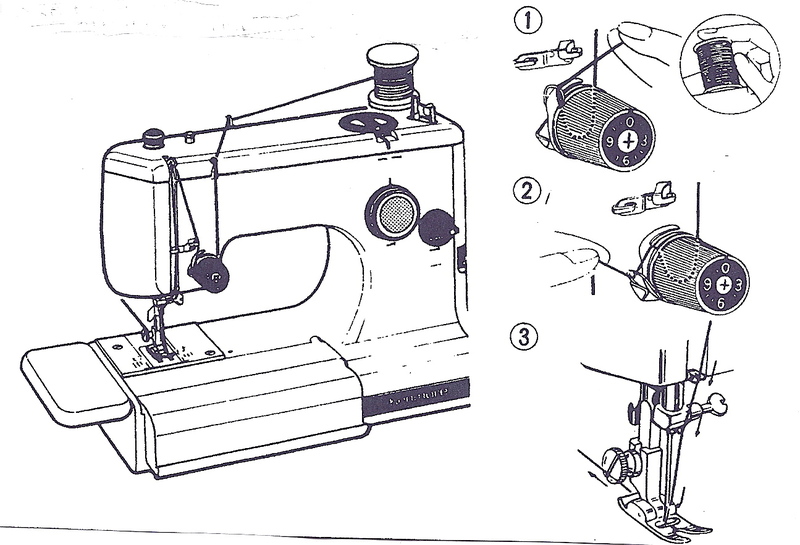 Looking for a manual for a stretch n sew machine from Italy one with the name ann person on the front I would like to know how to operate it if any one can help me I would very gratefully. 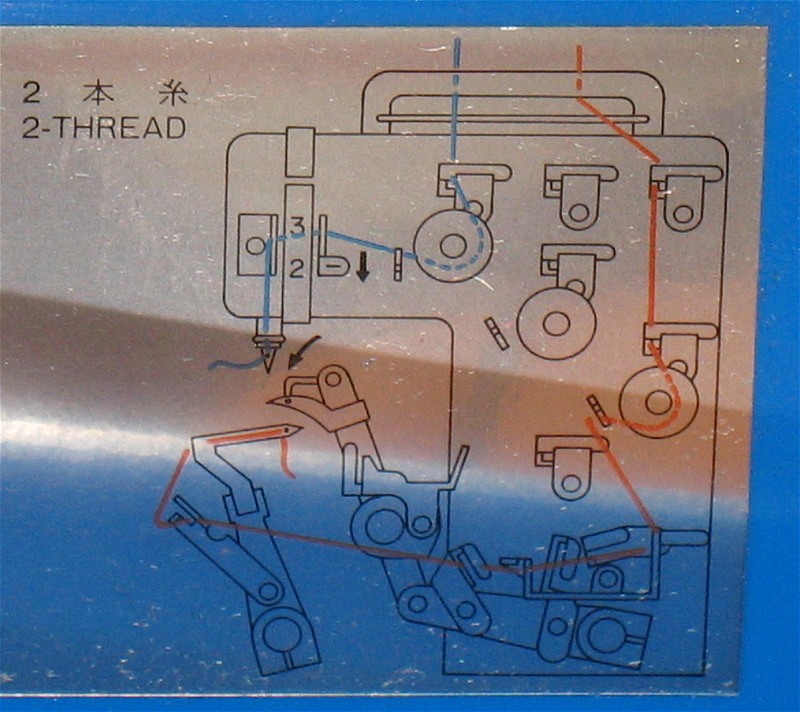 My Morse research revealed that Pine was a manufacturer in Japan that was sold under the Morse brand ( a distributor of many Japanese machines including Toyota) up until singer made an exclusive vendor agreement with them sometime in the 60-70’s. 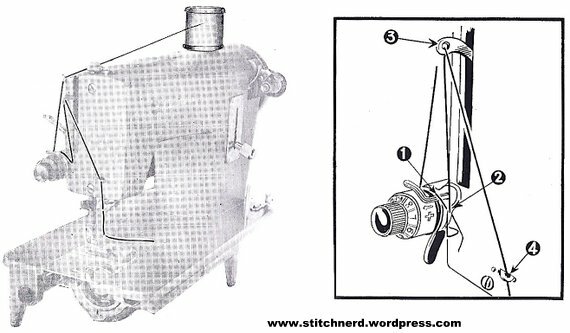 The Dressmaker is a common name for a machine by Morse and often has a numerical model I.E the Dressmaker 2400 which has plastic Cams by which you can do “fancy” stitches. 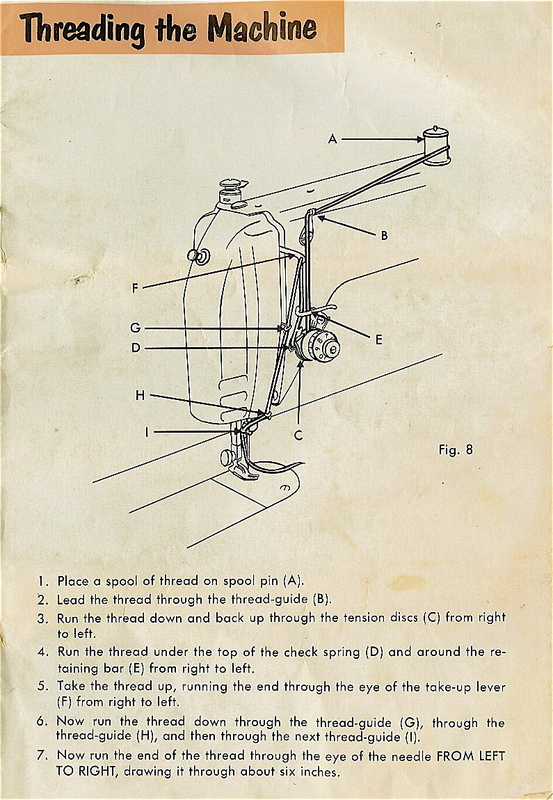 Did you ever find the manual for the dressmaker sewing machine. 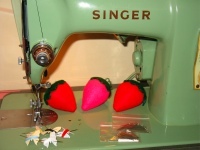 I have a dressmaker 408 and I can not find any information on it. Could you email me the manual and any information you found. 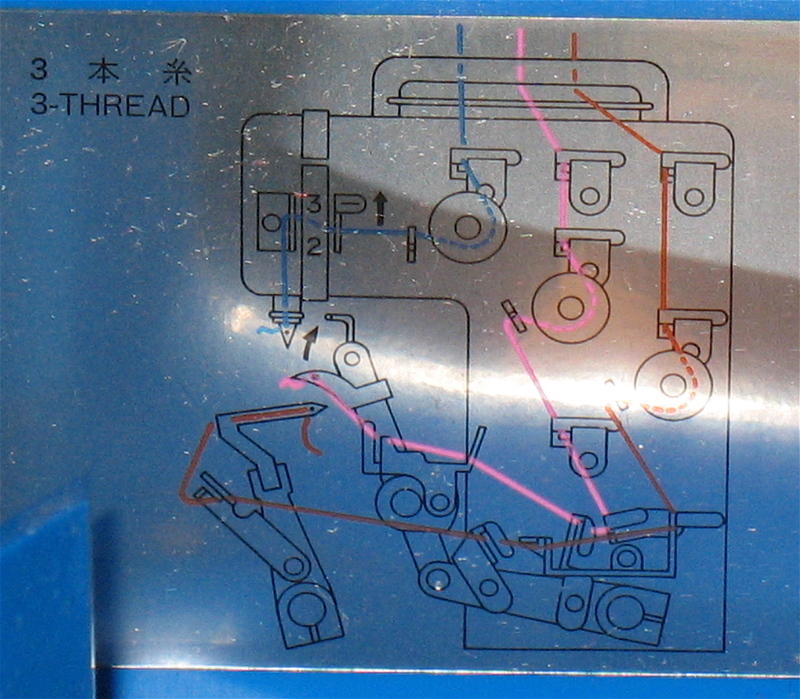 I have an Elgin 4400F that is running really slow, does anyone know how to adjust the sewing speed? 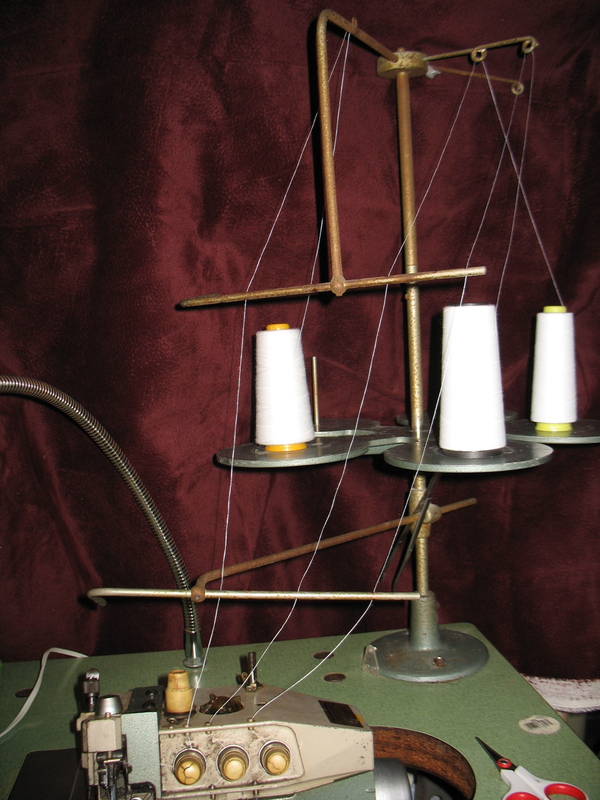 My Mom gave me her Dressmaker W- 800 De Luxe Zig Zag machine. Of course I put the manual somewhere that I wouldn’t lose it, so of course I can’t find it. I am going crazy fighting with this thing trying to remember how to thread it! Any help? 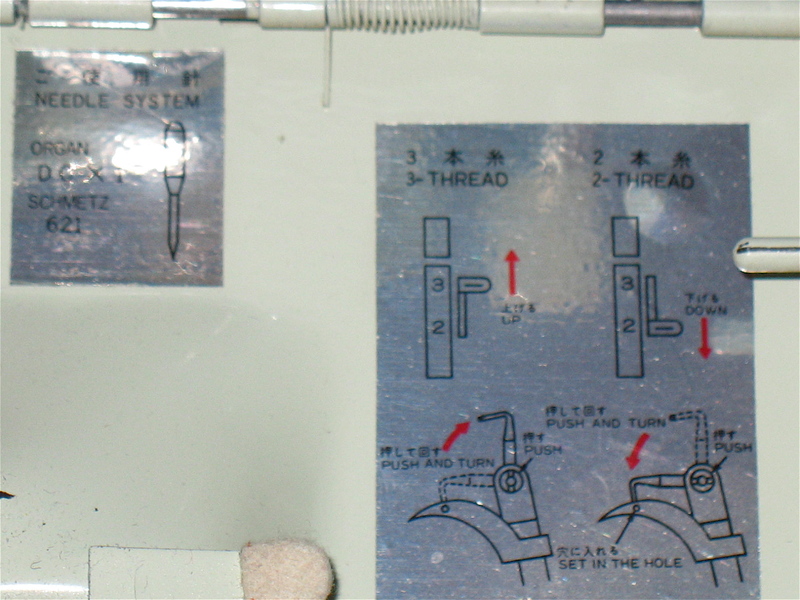 I found in my sewing room a remington de luxe sewing machine that i have figured out how to thread but the tension knob only turns from 0 – 4 and the tension is horrible. 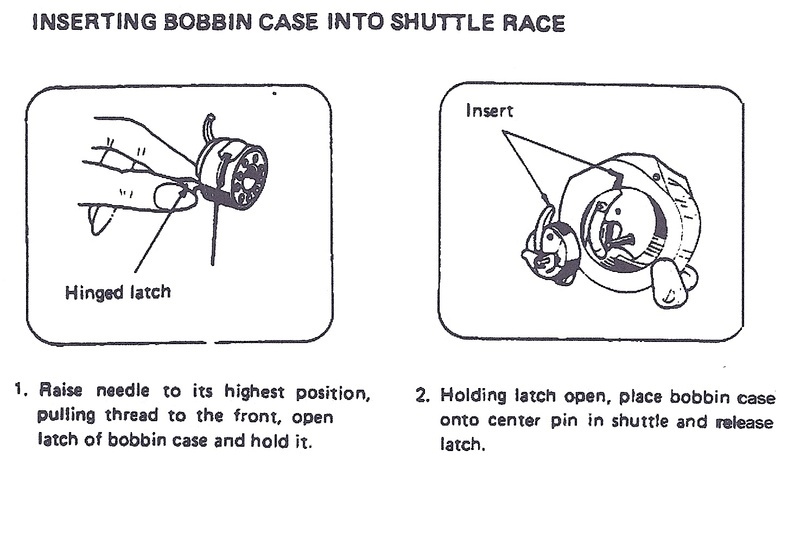 I tried to adjust the bobin tesion to compensate but didn’t work. Any ideas? Bajuware (umgangssprachlich) Leverkusen returned to receiving ways after crushing Werder Bremen 6-2 at the more of the 9th round inside the Bundesliga on Sunday. Bremen’s winning streak came to an end, seeing that Leverkusen showed no compassion on the way to the 6-2 victory. The Werkself grabbed a perfect start on the road as Kevin Volland broke the deadlock with eight minutes played after poking home Karim Bellarabi’s square pass to the far post. Bremen answered and assumed control, however neither Ludwig Augustinsson or Max Kruse were able to convert their promising opportunities into a tangible reward before the break. Leverkusen presented their specialized medical chance conversion before the break in the action as they doubled the lead in the 38th minute the moment Julian Brandt tapped residence a rebound from close range. The visitors attained momentum and tripled the lead within the first fifty percent as Karim Bellarabi damaged the ball over onrushing Bremen goalkeeper Jiri Pavlenka in the 45th minute. Following the restart, Werder Bremen rallied back and reduced the bill through veteran Claudio Pizarro, who made the most away of Davy Klaassen with an hour into the game. The “Green-Whites” gained confidence to make it 3-2 only two minutes later as Yuya Osako poked home a flicked on pass from very close range. Just once Bremen thought they are planning to turn the tides, Leverkusen extended their lead out of the blue as Kai Havertz lobbed the ball over Pavlenka to make it 4-2 in the 67th minute. Bremen had been shocked, but Leverkusen maintained it going to sink the hosts with another two goals as Aleksandar Dragovic and Haverts rounded from the 6-2 goal festival. While using result, Werder Bremen slip to the 4th position whereas Bayer Leverkusen jumped within the 12th place of the rankings. Elsewhere, Sebastien Haller’s later equalizer helped Eintracht Frankfurt to share the spoils with newly promoted Nuremberg, and Leipzig played out a goalless draw with troubled Schalke.